Your website is the best!! My family is making its first trip all together to my in-laws homeland. There are 8 of us going in two weeks. So now we're down to the detail questions. Going with 2 teenagers so they are concerned about charging their ipods, laptops, cameras, and using blow dryers, hair straightners, etc. What kind of converter/adapter would you suggest? One website I was on pointed out the voltage difference and that an adapter isn't going to downgrade the current which isn't good for digital devices. It would ruin their holiday if one of their digital devices got fried. So what do I need to look for? 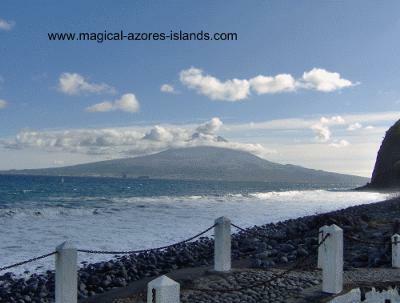 We are renting cars on Faial since that is the island my in-laws are from and we figured that would be the easiest way to see their specific villages etc. Now I gather from my investigations that Azoreans are crazy drivers and the roads are tricky. We may be taking our lives in our hands. We're good law abiding Canadian drivers. :-D Are we crazy attempting to drive there? Thanks for your kind words on the website. It's getting there! I hope you don't mind me saying so, but I chuckled when you asked if you were crazy to drive in Faial. I think you will too once you drive there. It's simple to get around by car and there aren't a lot of cars on the road (in most of Faial). Think of a quiet day on Lobsinger line in St Clements / St Jacob's area near you ... very little traffic and as many horse and buggy's as there are cars. Aside from some tight spots here and there, and the occasional steep hill, you should find it a pleasure to drive in Faial. I guess I'll make one disclaimer on this: most cars are standard. Your rental likely will be too, unless you ask for an automatic in advance. The voltage in the Azores is 220-240 volts versus ours of 110-120. You will need a plug adaptor for appliances designed for multiple voltages (e.g. laptops). Much to my wife's dismay, North American Hair dryers and straighteners would also need a voltage converter. I am not an expert on the power, so I won't guarantee that the laptops will be fine, but I will say that I have had three different laptops over there with no issues. Several years ago I bought a plug adaptor with a basic surge protector in it from a big box electronics store. It has served me well. And the girls have learned to live without the hair straightener. FYI, with the humidity there, expect more curls! Oh, and with respect to camera's one of ours took AA batteries. For that one I bought a charger and batteries from a store called Worten (think Future Shop of the Azores). That saved me a lot of money as batteries are more expensive there. And another camera had a special battery that we plugged into the plug adaptor. We had no issues. My daughter's IPod was plugged into her laptop to charge. Thanks again for asking, and I do hope you love it there. I bet the kids will love Praia do Almoxarife (the main beach). And be sure to visit Capelinhos. Odds are, if your husband emigrated from Faial, it was around 1958 when the eruption occurred there. If you have a day to spare, I also recommend taking the ferry to Pico and maybe getting a cab tour of the island. It's interesting to see how different the two islands are, despite their proximity.